Shizuka is Katsuya Jonouchi's little sister. 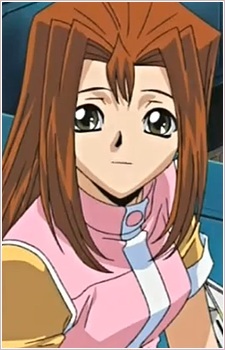 In the manga and the Duel Monsters anime, Jonouchi enters a Duel Monsters tournament hoping to win and use the prize money for Shizuka's eye surgery. Shizuka sees Mai Kujaku as a role model.